Yesterday i came across to this product and seems to be a great one!!! Nexsan is first to ship enterprise- class storage systems with 3TB SATA drives for 180TB in 4U. Nexsan’s Flexible Storage Platform enables many storage technologies to be incorporated in one system. This is particularly useful to mid-sized organizations that prefer a single-system solution over having to buy many disparate systems. Nexsan pioneered storage systems that featured simultaneous multi-protocol access, and we designed our systems to be multi-tiered, supporting high-speed and high-cost SSD, mid-speed and mid-cost SAS and low-speed and low-cost SATA drives in one chassis. Our flexible storage platform supports our proprietary storage applications software, such as replication, de-duplication, data archiving, multi-tenancy, digital data backup and encryption. Nexsan’s industry-leading storage systems, the foundation of the Flexible Storage Platform™, contain anywhere between 14 and 60 drives and can be expanded with an additional expansion unit. Drives benefit from Nexsan’s Anti-vibration Design™, Cool Drive Technology™ and Active Drawer Technology™. All Storage Systems can be configured with dual active/active controllers with battery-backed cache for high throughput and no-single-point-of-failure architecture through the Fibre Channel and/or iSCSI host access ports for block services, or via LAN for file services. To know more about NEXSAN storage system, Click here. In my previous post(pulse living…an efficient energy solution company, and Home automation – Pulse living ), i was described this product, and now, to me…this looks like a mature and cost effective/affordable solution to every home owner/hotels. They have come up with even much better solutions, which integrates to our day-to-day devices, such as iPhone, iPads apps…etc. You can control your home from anywhere in the world…a real intelligent solution makes your home “an intelligent living”. Pulse.control is built to the highest technical specifications and leverages the latest technologies as well as industry standards for building automation and networking. The versatile Intel IXP42x Network Processor enables us to deliver a massively scaleable solution while keeping energy consumption and heat dissipation to a minimum. Flash storage increases reliability and performance. The Microsoft Windows Embedded CE 5.0 operating system can be managed and updated remotely. A range of connectivity options provides flexibility for even the most complex integration projects. The beauty is that is a cost effective solution…with the architecture design which pulse can accomodate, within each home, the Pulse.control.pro acts as the brain of the home, connecting all systems via protocols such as KNX/EIB, Z-Wave, RS232, or TCP/IP. It can then be connected to any number of Pulse.touch screens via Ethernet or WiFi. In my previous blog i mentioned that today May 25th, 2011, As promised, Microsoft intends to unveil a more detailed and full roadmap for the Windows Phone 7 mobile line. Yesterday, Microsoft previewed the next major release of Windows Phone, code-named “Mango,” through a series of media events around the world. “Mango” will deliver more than 500 new features to push the boundaries of the smartphone experience around communications, apps and the Internet. The “Mango” release will be available for free to Windows Phone 7 customers and is scheduled to ship on new phones beginning this fall. More details on device update timing will be provided closer to availability. Windows Phone will also add support for additional languages, expand access to apps by launching Windows Phone Marketplace in new countries, and partner with new OEMs to enable expansion to new markets. Threads: Switch between text, Facebook chat and Windows Live Messenger within the same conversation. Groups: Group contacts into personalized Live Tiles to see the latest status updates right from the Start Screen and quickly send a text, email or IM to the whole group. Deeper social network integration: Twitter and LinkedIn feeds are now integrated into contact cards, and “Mango” includes built-in Facebook check-ins and new face detection software that makes it easier to quickly tag photos and post to the Web. Linked inbox: See multiple email accounts in one linked inbox. Conversations are organized to make it easy to stay on top of the latest mail. Hands-free messaging: Built-in voice-to-text and text-to-voice support enables hands-free texting or chatting. More information about this release, read the press release from Microsoft News Center. 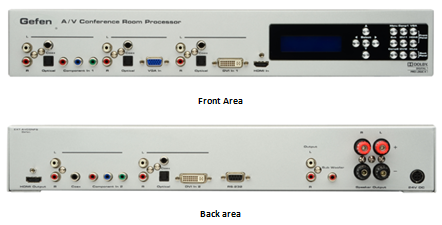 Gefen’s new A/V Conference Room Processor with built-in audio amplifier connects set top boxes, Blu-ray players, gaming consoles, computers and more. Video is scaled and output in HDMI format with cinema-quality scaling up to 2K or 1080p Full HD resolution, supporting large-scale HDTV displays. 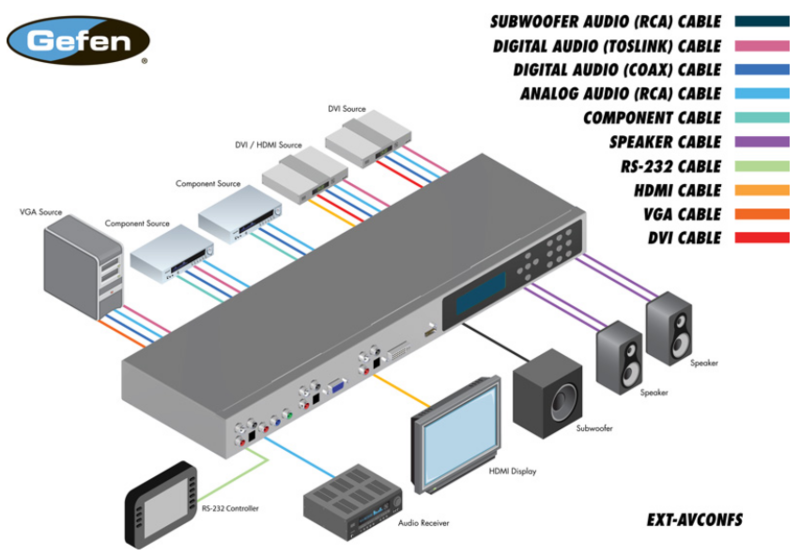 The audio is mixed down from 5.1 Dolby™ surround to two-channel audio with support for a powered subwoofer. A built-in 2-channel audio amplifier delivers 25 watts per channel from digital and analog sources, ideal for creating high-fidelity sound in the conference room environment. Two speakers may be connected directly to the amplifier binding posts for “plug and play” installation in any conference room, educational facility or presentation venue. On Exchange server 2010, If you create a distribution group with scope as Universal and type as Distribution, in your domain active directory. From your active directory, select the property of the group email id, then under mail flow settings, select Message Delivery Restrictions, then select Properties…, new window will open. 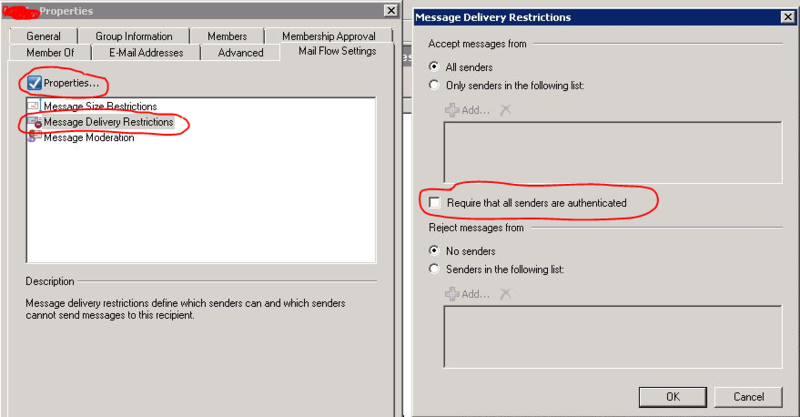 uncheck the box which states “Require that all senders are authenticated” and click ok..then apply and ok again. Analytical Accounting Menu Master Table (SY07110) Records Multiplying – Bug & Workaround : read this solution/workaround from my collegue…a good post. Parallels Transporter Launches on the Mac App Store, Move from a PC to a Mac Easy!!! Parallels Transporter Agent collects data on your PC and uses your wireless network or an external storage device to transfer it to Parallels Transporter on your Mac. Parallels Transporter on your Mac receives data from the Parallels Transporter Agent and copies it to the appropriate locations on your Mac. The files stored in your Windows home directory are copied to the corresponding olders on your Mac so they can be accessed and used with compatible Mac programs. Internet bookmarks are copied to Safari or any other default web browser in Mac OS X. In addition to moving pictures, music and documents from a PC to corresponding Mac folders, Parallels Transporter also moves Windows programs and other files into a virtual machine on your Mac in case they are needed. Customers who later decide they want to run Microsoft Windows and Mac operating systems and applications simultaneously on their Mac can simply purchase and download Parallels Desktop 6 for Mac. Windows Vista Service Pack 1 (SP1) will reach the end of support on July 12, 2011. From that date onward, Microsoft will no longer provide support or free security updates for Windows Vista Service Pack 1 (SP1). In order to stay secure and continue support you must upgrade to Service Pack 2 (SP2). As announced in 2008, support for Windows XP Service Pack 2 (SP2*) ended on July 13, 2010. Also announced in 2008, support for Windows 2000 ended on July 13, 2010. Support for Windows Vista Release to Manufacturing (RTM) ended April 13, 2010.